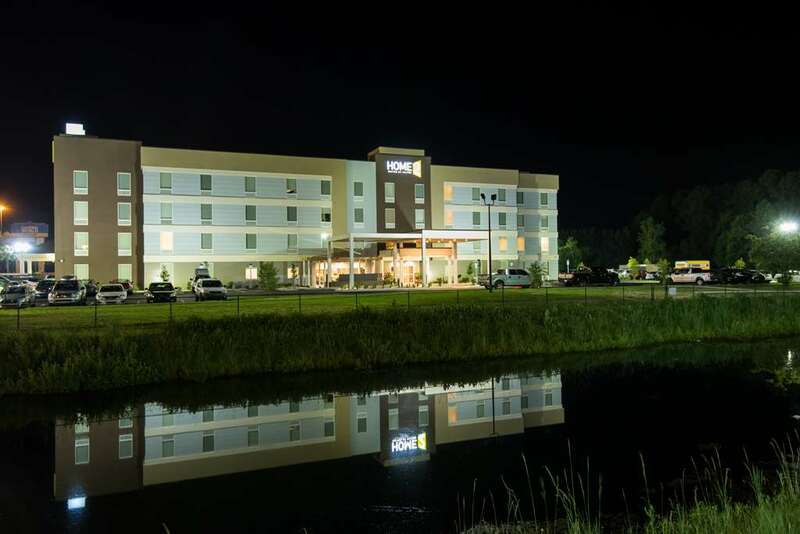 Ideally located at the Gateway to Florida the comfortable Home2 Suites by Hilton Lake City offers fantastic connectivity to major cities including Gainesville Orlando Jacksonville and Tallahassee via the nearby I-10 and I-75. Explore historic downtown Lake City just four miles from our all-suite hotel in Lake City FL. Enjoy easy access to lots of area attractions including shopping malls historic sites and the Ichetucknee Springs State Park. Settle into a spacious studio or one-bedroom suite. The flexible Working Wall lets you customize your own space to fit your needs. Relax on the sleeper sofa and connect to your social network with free WiFi. Get to work at the moveable desk/table or channel surf on the HDTV. Cook meals in your full kitchen equipped with a dishwasher microwave and refrigerator. Don*t forget the dog bowl and leash your pet is more than welcome at this extended-stay Lake City hotel. Each morning of your stay join us for free breakfast at our Inspired Table. Pick up snacks light meals and travel essentials 24/7 at Home2 MKT. Enjoy fantastic amenities at this welcoming hotel in Lake City. Soak up the glorious Florida sunshine as you refresh in the outdoor swimming pool or relax on the outdoor patio which features a cozy fire pit and cooking grills. Do some laundry while you exercise in our integrated laundry/fitness facility Spin2Cycle. Charge your smart phone watch the HDTV or check emails in the relaxed Oasis lobby lounge. Stephen Foster Folk Culture Ctr.